Hair dye is more adventurous and dramatic than ever before. Gone are the days where you were limited to a few shades here or there. Now you can choose from the entire spectrum of natural colors, bright hues, and subtle pastels. You can wear the one color or mix it up with multiple shades cascading through your hair to add a new dimension to your look. Your hairdresser has no overly great secret when they apply your color. What they do have is experience, and you can develop that same level of skill as you learn how to dye your hair. The key is to learn how to choose the right colors and apply hair dye properly. If you can master the basics, the experience will come with time, and you'll have salon results right out of your own bathroom. When learning how to dye your hair, you need to be able to choose the right hair color, and you need to have realistic expectations about the results. You can dye your hair just about any shade, but that doesn't necessarily mean that shade will be balanced against your skin and eyes. The most prominent feature next to your hair is your skin, and if you choose a color that doesn't compliment your skin, it is noticeable to those around you. The key here is that the natural tones and how dark your skin is will lead to it looking best against certain shades. In much the same way as you wouldn't wear certain colors of clothing together because they would clash, you shouldn't wear certain hair colors against your skin. If your skin has pink tones to it, you will look best with pearl and ash toned hair dyes.. The cool tone of these hair dyes compliment the cool tone of your skin, whereas a gold or copper based shade will make your skin look dull and overly cool in comparison. 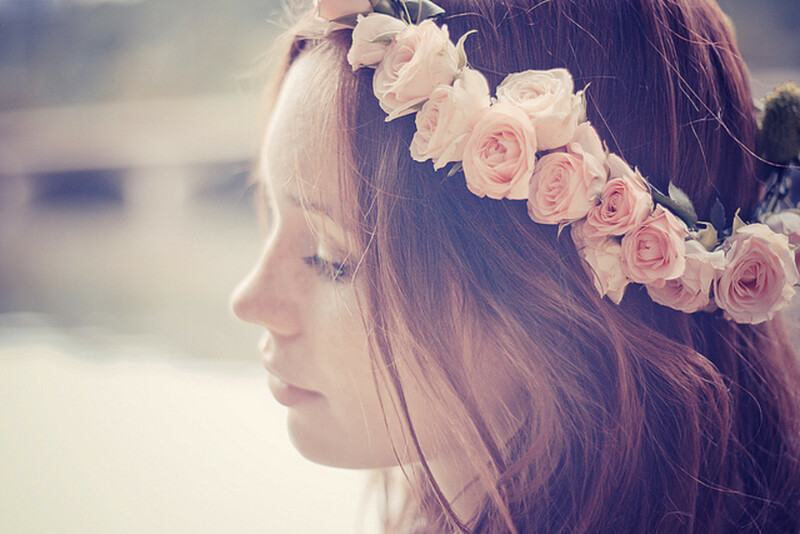 People with pink toned skin will suit shades like blue-black, ash brown, and cool blondes. The lighter your skin is, the more likely a pale blonde color will suit your skin. Conversely, beige shades of blonde can warm up pinkish skin if you don't want to play it safe. Contrast will work for some people, whereas you might find you look better matching tones. For skin that has yellow tones to it, you will suit warmer colors. In this case, honey blondes, beige blondes, and warm browns will look best. Natural blacks can look good depending on how dark your skin is. If you have lighter yellow-toned skin, you probably won't suit black and would look better with a strawberry blonde or red color. Your eye color isn't as important as your skin tone when it comes to choosing a hair color, but it does play a part in how your hair color looks overall. Hair colors that are directly opposite on the color wheel to your eye color will dramatically enhance your eyes by creating contrast but you might not like how that looks depending on whether you want to draw attention to your eyes or allow them to match your skin and hair. Blue eyes will suit pale hair colors, and look best against tones like ash and pearl. Copper tones will accentuate them greatly. Green eyes blend best with natural and cool tones, and red hair will cause them to appear much more noticeably green. Brown eyes suit chocolate and beige shades, and will really pop against reds and burgundy shades. Lastly, when you choose a hair color, it will always look best when it doesn't venture too far from the color of your eyebrows. This means that black eyebrows won't look best with platinum hair and pale blonde eyebrows will look bad against black hair, but there is an exception to this rule too. Contrasted eyebrows can look good on the right person, and for everyone else, they can be tinted to match if you're having an issue with the color. In order to learn how to dye your hair and get professional looking results, you need to use the tools that salons use. By using the right tools, you can apply hair dye with more finesse and achieve much better results. Hairdressing tools also make it easier to mix and apply dyes, simplifying the process dramatically. The most important tool if you want to learn how to dye your hair, is a tinting bowl and brush. Tinting bowls are plastic bowls that usually have measurements and are perfectly shaped and sized to allow you to mix and apply color with a brush. The brushes used are flat with plastic bristles and a tailed end to allow you to easily work with sections and apply hair dye smoothly. You'll need at least one set to be able to dye your own hair properly, and it's preferable to own a second set if you'll be using more than one color, such as when applying highlights and lowlights. If you have a tinting bowl and brush, you can dye your hair without anything else other than gloves, but the process is also made easier when you stock up with sectioning clips, combs, and a hairdressing gown to protect your clothes. Hair dyes can be measured effectively by volume, but you may want to purchase an electronic scale if you have trouble gauging volumes. The best comb to use when dyeing your hair is a tail-comb, and this will allow you to weave sections and part hair. This type of comb is indispensable if you want to highlight hair. When it comes to the type of gloves you use when dyeing your hair, avoid latex. Not only do latex gloves leave your skin dry due to the powder, but they tend to cling to hair and cause pain and lower quality results. For ease of use and the best hair dye results, use a vinyl or nitrile glove. Gloves that extend further up your wrist will better protect you from hair dye and bleach. Color can't remove color - hair that is dyed already, can't be lightened with more dye. When hair is lightened, warm tones are revealed - use a cooler dye to counteract this. 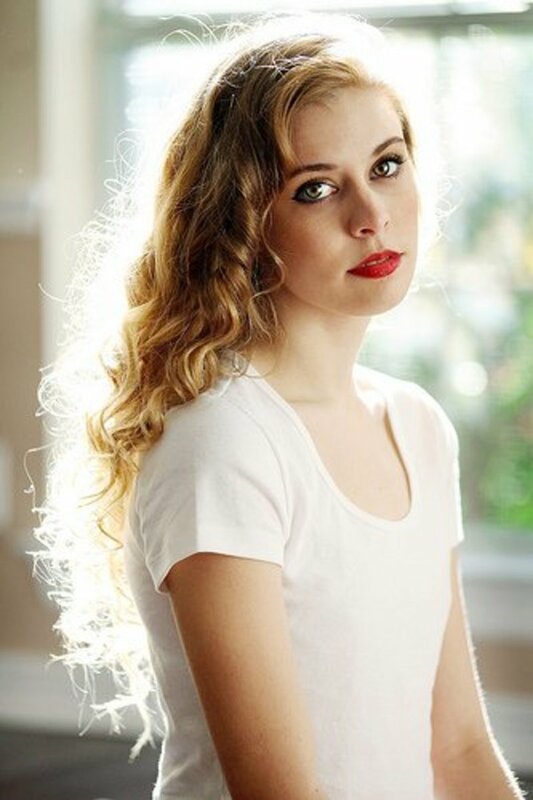 When pale hair is dyed dark, ash tones become prominent - use a warmer dye in this case. Once you've chosen a color to dye your hair, you need to prepare to apply it. Before you even begin with this process though, you need to have realistic expectations. If your hair has been previously dyed, adding more hair dye on top can not lighten it. You can dye it darker with a new color, but you can't lighten dye with dye. 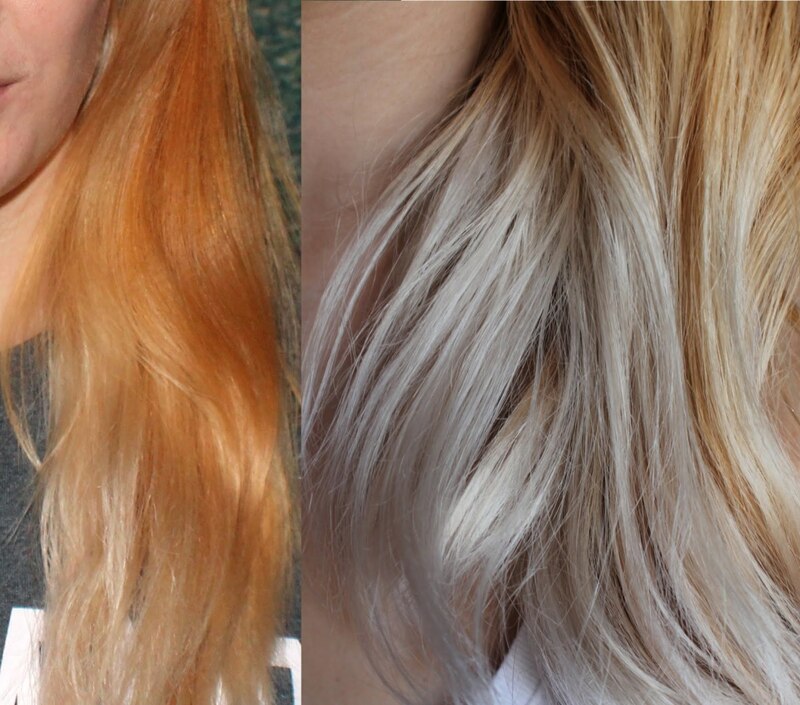 If you want to go lighter after dyeing your hair, you will need to bleach it first. You also should not attempt to dye your hair anymore than 3 levels lighter. Hair dye can lift a maximum of about 3 levels, or a little more in the case of high lift dyes, but to go any lighter than that, you need to pre-lighten it with bleach first. You can go as dark as you want with a dye, but your ability to go lighter is limited. If you're dyeing your hair lighter, choose a dye that is a little cooler-toned than the color you desire. This is necessary to counteract warm tones that appear during lightening. If you apply the exact color you want, you may find that the warm tones that are revealed during lightening will overpower your chosen shade and cause it to look too warm overall. Conversely, when you apply a shade that is much darker than your current color, use a shade that is slightly warmer to stop it looking too ashy. To achieve the best results when you dye your hair, you need to be prepared and ready before you actually apply it. Have all your equipment set up, and the dye ready to be mixed. Your hair needs to be sectioned out properly in order to begin. To section your hair to apply hair dye, divide it into four separate quadrants. You can do this easily by parting it straight down the middle with the tail of a tail-comb, from forehead to the nape of your neck. Divide this up again by taking another part from each ear so that you have four distinct sections to work with. When you apply the dye, you'll be working with one quadrant at a time, applying the color from top to bottom of each quadrant. 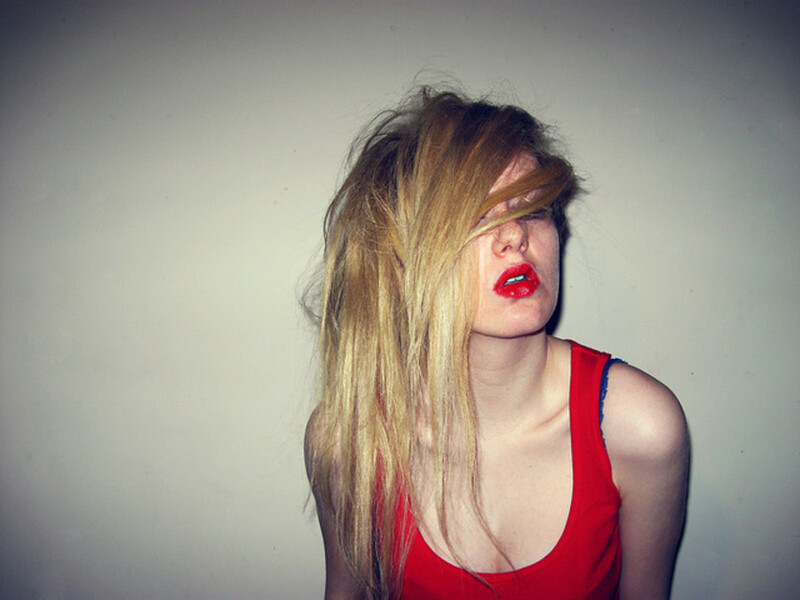 Once you've sectioned out your hair in order to be able to do this, you can mix up the hair dye and begin applying it. In order to lighten hair, you need to use a higher volume of developer. You can use 20 vol for up to 2 levels of lift, or 30 vol for up to 3 levels of lift. High lift dyes are mixed with 40 vol developer to give a maximum of 4 levels of lift. 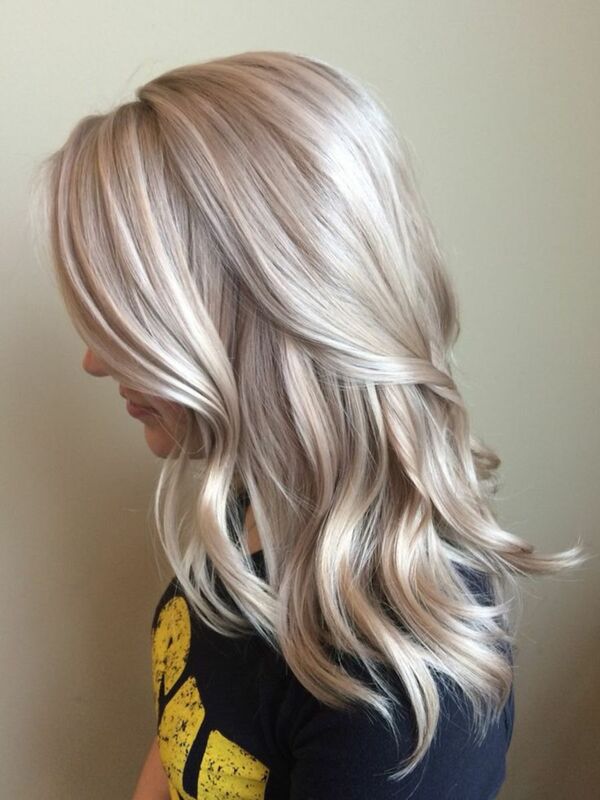 In this sense, if the color you desire is two levels lighter than your current color, you will need to use 20 vol developer to lighten your natural color enough to dye it that shade. You will also need to use 20 vol developer if you are working with hair that is gray or resistant to color. If you're dyeing your hair darker or using a tone-on-tone color to tone your hair, you can use 10 vol peroxide because you don't need lightening power here. Demi-permanent dyes are mixed with 5 - 7 vol peroxide depending on manufacturer. To convert the volume of peroxide to a percentage should you require it, each 3 percent hydrogen peroxide is equivalent to 10 vol. This means that 10 vol developer is 3 percent, and 40 vol developer is 12 percent. Mix the hair dye in a 1 to 1 ratio of hair dye to developer. High lift dyes require a 1 to 2 ratio of high lift dye to 40 vol developer. Very rarely, the manufacturer may vary this ratio, in which case you should check the ratio on the color's instructions. To achieve the best hair dye results, always use a high quality salon brand when you dye your hair. Brands like Matrix, Igora, and Wella Koleston will give you the best color results. Drug store and supermarket box dyes should be avoided. Discover how to dye your hair blonde, for salon quality results. Dyed hair is great, but what happens when you want to remove hair dye? Find out how to remove hair dye. After you've mixed your hair dye together with developer, you should begin applying it right away. The developer starts a reaction once it is mixed, so you will achieve the best color results when it is applied quickly and allowed to work in your hair. Begin by applying hair dye to one quadrant of your sectioned hair. Take thin layers from the top of the quadrant by using the tail of your tinting comb, then brush hair dye over each layer until you reach the bottom and have completed a quadrant. Follow this pattern until you have completely covered your hair. Once your hair has been completely covered with hair dye, the dye needs time to process. For most colors this takes between 20 - 45 minutes. High lift dyes can be left a little longer to lighten your hair more, whilst demi-permanent dyes can be washed out when the desired tone is reached if you're toning your hair. As different brands vary in their processing time, check the brand you're using and process it for the amount of time they suggest. When it's finished developing, you can rinse it out. Hair dye is a very personal decision, and the color you choose should be a reflection of yourself. Never before has it been as easy to change your look or show the inner you. The best part of learning how to dye your hair of course, is that you can have fun and be yourself. Life's too short to have boring hair. Hi Maffew, I loved reading your instructions as it's very easy to follow for a untrained person. I've been coloring my hair for about 5 years now with Inoa or Casting as I wanted avoid ammonia. Mostly used dark colours to blend with my natural hair color and cover greys. Last month I decided to get a few highlights around my temples and forehead hairline to camouflage the greys. I'm not happy as instead of a golden tone, I ended up orange. Also, the few strands that did catch the blonde color, is now wearing off in just 3 weeks and starting to appear like grey hair. I am definitely not going to a salon for any corrections as I feel safer to read up and do it myself. That's how I ended up reading your page. Please let me know of any advice you would have for me. I would have liked to share pics of my hair, but can't find that option in this comment box. I cannot tell you how amazing it is to find your blog posts!! I'm having a crisis (of course)- I leave for a wedding on Friday and stupidly decided I wanted to go blonder than normal and put weaved foils in using the CHI oil based high lift. I use it a lot to blend out my regrowth with my ends since I stopped going to my hair dresser about 2 years ago. I was just freehand painting this on enough to blend, but I stupidly went all out this time. The result is stringy strands of pure white with some yellow and orang pieces! It looks like my highschool days of using a highlighting cap. It's so badly damaged but I can't go to Cabo and be in a wedding like this. I have a lot of different joico k-pak colors and developer. This is what I'm thinking about doing tomorrow, I would LOVE your opinion. *had a coconut oil mask and joico repair treatment (ph balancing and cuticle soother) on since the bleaching disaster 2 days ago. *Natural color: 6-7 brown with red undertones (dirty dish water blonde). Very fine and straight hair. * Medium skin tone with freckles, green hazel eyes. with veronglaze for deposit only. Dying my entire head, white/yellow/and orange strands and all. -hoping the result is a more even dark blonde with lighter highlights on the white strands. I'm just worried about any undertones they might pick up since there is no pigment left and they are so damaged. I know I'll probably need to cut some length off as wel because it's breaking off and unneeded a cut badly prior to dying (it's down to my low back). I'd love to hear your thoughts and if you think this work or I should use one of my other colors? Hi you seem to be very hapeful to these people and i would like to use your advice! I have been dying my hair black for the last year or so and I am trying to go a lighter brown, i know i have to bleach my hair before obtaining my desired color but im unsure how to go about the process. Im scared its going to come out orange??!?! What should I do? Is it the white hair that starts to appear gingery, or your brown hair? 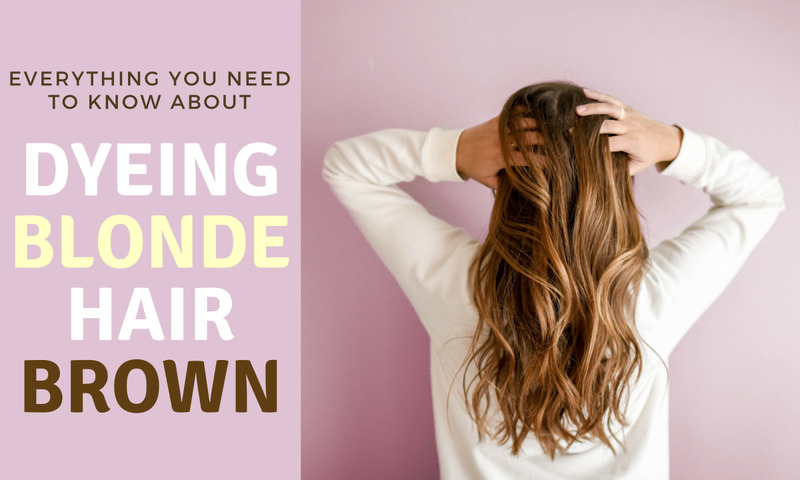 If it's the light brown, the gingery tone is most likely occurring because of the dye lightening your brown hair slightly whenever it is coloured. You won't notice this much when using a darker shade because that dark dye colour is being added to your hair, but over a few processes, the reduction of natural pigment can reveal a bit of warmth. Think of it as the dye pigment and your natural pigment being separate, and it's possible for your natural pigment to lighten even when using dark colours. The colour you see after dyeing is a combination of whatever natural pigment is present, as well as whatever dye colour you're adding. If this is what's happening, one way to combat it is to use a demi-permanent dye as opposed to a permanent dye. A demi uses a very low strength of developer, so you get very little lightening of the natural pigment from its use. This will help prevent the problem, but you do need to factor in that this type of dye will fade out over a number of weeks. If you're dyeing every few weeks as it is though, this may not be much of a problem with you. They are significantly less damaging in any case, and this is always a good thing if you dye your hair often. Another option is to keep the developer used at no higher than 10 vol. If you're using box dye, the developer is already pre-measured and selected for you, and this is the liquid supplied in the bottle, whereas the actual dye is the tube added to this. Box dyes will generally contain 20 vol or higher so that it can both lighten or darken depending on starting colour. If you pour out the supplied developer and add your own 10 vol, this may resolve the problem or at least reduce it because there will be decreased lightening occurring. Failing that, when you start to see a gingery tone in your hair, next time you dye it, use a combination of your usual shade and a little ash shade mixed into that to deal with the warmth and this will take care of it. As long as you don't add more than 25% ash shade to the amount of dye you're using, it will still cover the white hair properly but the extra cool tone will take care of any warmth revealed during dyeing. In the case of the white hair turning gingery though, this comes down to choice of shade. White hair grabs any dominant tone, so if the shade of dye you're using is even slightly warmer, it can grab onto gold and copper tones. Vice versa, ash tones can turn it blueish or even greenish. Easiest way to avoid this is to use a natural tone because this is more balanced in terms of cool and warm tones present. If you are using a natural tone and still see this happening, mixing a little ash tone into the natural will prevent it from occurring by balancing out the tone. I have light brown hair and have to dye it every 2-3 weeks due to lots of white strands. After a week my hair seems to look a little ginger. Can you tell me why this is and what colour is best for fair skin.